Daylilies are an easy to grow perennial for either sun or shade. Foliage heights range from 1 to 4 feet tall. The blossom lasts only one day hense their name. They are hardy in zones 3 thru 9 and edible. 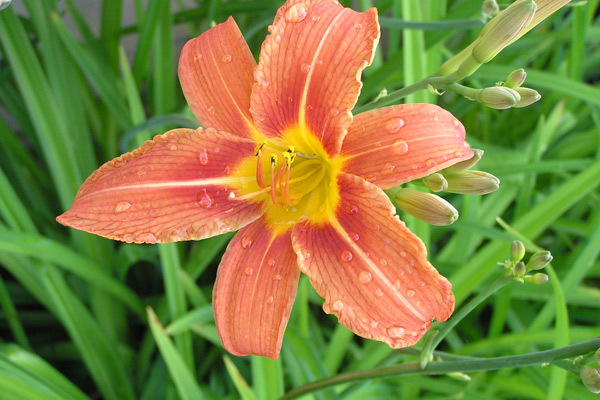 Most Daylilies have a distinct 3-4 week bloom period. Some varieties known as reblooming continue to bloom sporatically all season long. With proper maintenance you can keep your Lily blooming. The secret is deadheading. Deadheading is the practice of removing old blossoms before they produce seeds. Carefully pinch the old collapsed blossom with care not to nip off the next prospective blossom which will be close by. Peonies are one of our most popular Perennials. They are hardy for zones 3-8 and like to live in full sun to partial shade. They come in pink, red, white and yellow. Peony are long lived and some have been known to thrive 100 years. Peony relish cold winters as they need chilling for bud formation. Plant your Peony in late Sept or Oct about 6 weeks before the ground freezes with the roots about 2 inches below soil surface. Peony are not fussy, but choose the location for your plant wisely as they resent disturbance. Provide shelter from strong winds. 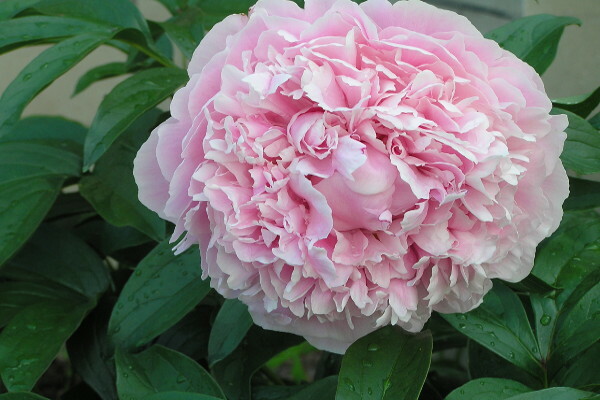 Plant away from trees and other shrubs as peonies do not like to compete for food and moisture. They do not need to be dug and divided, but you will need to cut foilage to ground in Fall to avoid wintering disease. Deadhead blossoms as soon as they fade; cutting to a strong leaf so stems do not stick out. Dont' fuss about the ants that love your Peony they are sipping nectar and eating pests so, help keep your plant safe. Dianthus is also known as Pinks or Sweet William. This delightful Perennial is small at only 6-18 inches tall and has the fragrance of cinnamon or cloves. Our modern Dianthus bloom from May to October. They prefer to be in Alkaline soil and in a spot where they get at least 6 hours of sun a day. Plant after the danger of frost is past. Deadheading is very important as some varieties are self seeding. These delighful little plants make wonderful borders but, also grow well in containers. 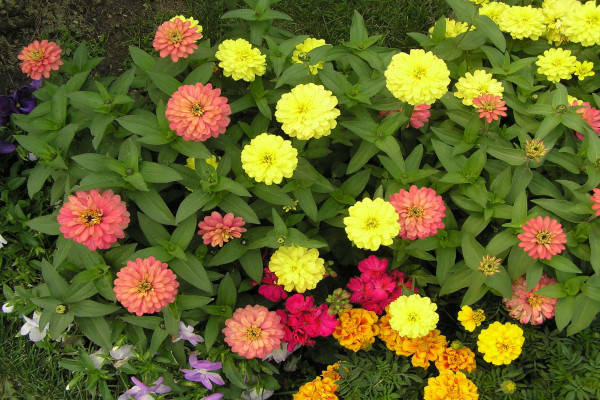 Their pleasant fragrance help make your garden an aromatic delight as well as visual. Pansies are a cool weather favorite, doing best in spring and fall. They are hardy in zones 4-8 and come in a wide range of pretty colors. Pansy can be either an annual or perennial. They often get treated as an annual because they do not tolerate heat. However, they are surprisingly hardy in cold weather. They will even survive frost and even a hard freeze. The bloom may wither in cold but, the plant survives. Please remember to water these tiny plants with pretty faces regularly. The perennial Hosta sometimes called the Plantain Lily is reliable and easy to grow. It is long lived and may even outlive the gardener. The Hosta prefers to live in shade and is hardy in zones 3-9. 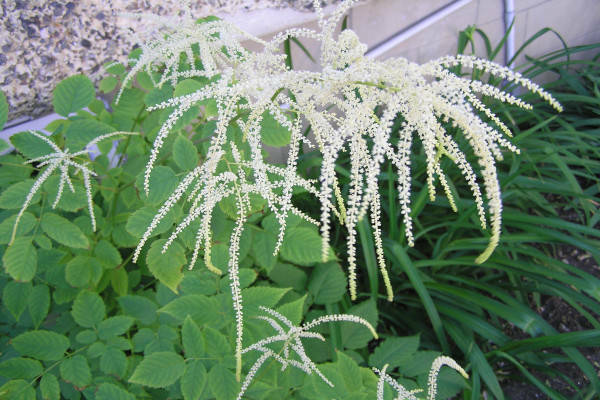 It blooms in summer with tall blue, purple, or white pendulous flowers. Hosta's true charm is it's variety of leaf with hundreds of combinations of color, shape, size and texture to choose from. Mix it up with these leafy delights for fun in the garden. And speaking of fun; bees love Hosta flowers. Black Eyed Susans have become a more popular plant in recent years. The size of Black Eyed Susans varies greatly from Dwarf (1ft.) to giant Rudbeckia Maximus (9ft.). They prefer full sun and well drained soil but can handle partial shade. Not all Rudbeckia are perennials but the ones that are, are hardy in zones 4-9. Keep them well watered their first season until they are well established. Once established they are quite drough resistant. Go easy on the fertilizer. A side dressing of compost is all that is needed. Iris takes it's name from the Greek word for rainbows. Iris is a perennial growing from a creeping rhizome or in drier climates bulbs. The Iris flower forms a perfect landing platform for pollinating insects to land. Several varities of Iris plants exist; providing intricate and exquisite blooms in sunny areas of the garden. Minimal care is required other than dividing the Iris to assure continued blooms. Heights vary from dwarf at 3 inches tall to 4 feet for the Bearded Iris. Most intermediate Iris are 1-2 feet in height. When planting make sure your Iris roots are covered with soil but keep the rhizome above ground to prevent root rot. Iris is very drought tolerant and lends itself to a xeric garden. Our Mock Orange Bush quickly became one of my favorite bushes this summer. Their lovely white flowers apparently resemble orange blossoms. The true delight of this bush is the citrus fragrance that filled the museum garden by our tea room this summer. To me it smells like Juicy Fruit gum. Mock Orange comes in several varities ranging in height from 4 feet to over 8 feet. They are hardy in zones 4-8 and enjoy full sun to partial shade and moist well drained soil. Annual pruning is necessary to keep this plant looking good and maintain it's shape. Pruning needs to be done soon after blooming. We all know Geraniums. We can buy small Geraniums each spring at very little cost. I cannot think of any plant that gives us more bang for our buck. Plant them in the ground, In a flower pot, in a window box, on your apartment balcony, in the front street of your business or out beside the barn; basically anywhere that you need a plant to cheer you up. That georgeous pop of color these plants provide is just what that tired spot needs. Just make sure you put them in full, hot sun and water them often. The only additional care you will need to give them is deadheading blooms every few weeks as they fade or start to drop petals. They are a bit messy. I also like to pluck off any brown leaves from underneath. This little shrub is one of those innocuous little plants that does nothing to catch your eye all spring. Then astounds you with a display of highly attractive feathery plumes that makes you catch your breath with its beauty come summer. This low maintenance erect, bushy clumping perennial is hardy zones 3-9 and does well in full sun or partial sun. It likes to stay moist and will grow well in shady areas too. I planted 80 tulip bulbs in the Museum garden this last week of August. WOOHOO!! Can't wait for spring.